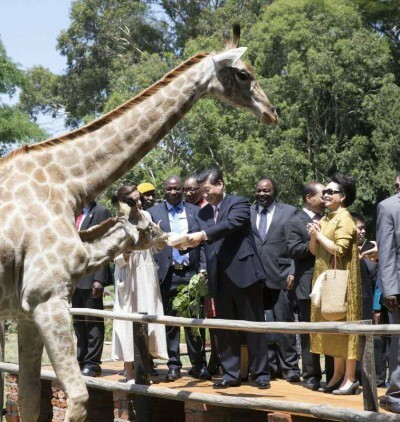 On Dec. 4-5, Chinese leaders visited Johannesburg’s central business district to pledge $60 billion to help industrialise the African continent. More than 40 African heads of state were in attendance for the Forum on China-Africa Cooperation (Focac). The Independent chain’s most intelligent reporters and commentators were flummoxed by a harsh reality they dared not mention: China has amplified African under-development over the past third of a century. But from 2002-11, this was true only if ‘growth’ is measured simply as rising Gross Domestic Product (GDP), uncorrected for depletion of non-renewable resources (what is termed ‘Natural Capital’, drawn down). If that correction is made, Africa’s wealth drains out rapidly, not to mention other ‘Resource Curses’: ecological wreckage, social displacement in mining areas, systemic corruption and serious economic distortions. Not according to Shelton: “Increased African raw material exports to China significantly benefit national economies.” No, even the World Bank admitted in its 2014 Little Green Data Book that once we apply Natural Capital accounting, 88 percent of Sub-Saharan African countries are net losers from mineral and petroleum exports. Moreover, the price cycle has since turned, with most commodity exports worth less than half their 2011 peak value. Having overproduced, China has even redirected its own production of semi-processed commodities back to African countries that were formerly net suppliers. South Africa’s largest steel factory (Arcelor Mittal, owned by an Indian) spent 2015 closing five foundries and the second largest (Evraz Highveld, owned by a Russian) declared a form of bankruptcy. South Africa’s trade and industry minister (Rob Davies, a Communist Party leader) was compelled to impose a 10 percent price surcharge, notwithstanding the SA currency’s crash from R6/$ in 2011 to R14.5/$ today. Frustrated Nigerian steel manufacturers have a similar story. Such frenetic overproduction at the world scale is one of the main reasons the Focac promise of Africa’s next-wave economic growth – industrialization – is a pipe dream. The first waves of cheap Chinese imports began a third of a century ago, as structural adjustment policies shrunk Africa’s disposable income, decimating local clothing, textiles, footwear, appliances and electronics industries. Moreover, Chinese manufacturers’ demand for oil, gas and coal is the main factor – along with irresponsibility by the EU, the US, India and other consumers of African fossil fuels – behind climate change. When the leaders of China, South Africa, India, Brazil and the US signed the Copenhagen Accord in December 2009 (as an undemocratic side-deal to the UN negotiations then underway), they replaced the Kyoto Protocol’s binding provisions with voluntary pledges. This set the stage for the Paris deal now coming to fruition, with its 3+ degree pledges assuring runaway climate change. Copenhagen fused sub-imperial BRICS countries (minus Russia) with. Shelton expresses faith that “As the Chinese middle class expands, the range of export opportunities to China will become enormous.” But that class has a profound problem: over-indebtedness and with it, the inability to convert real estate collateral to cash. The middle-class strategy of property speculation has come unstuck what with massive overbuilding of residential real estate, followed by a 20 percent crash in 2014-15, a problem far worse in the provincial cities. The ratio of real estate to GDP (23 percent) in China is three times higher today than the US at its most property-bubbly in 2007. In any case it is most unlikely African countries can produce consumables for the middle class that are of the bulk volume to achieve economies of scale and hence lower prices. And today there is a world glut not only in over-supplied raw materials from Africa, e.g. coal, for which Chinese import demand is 120 million tonnes/year for the foreseeable future after a peak of 150 million tonnes in 2013 (a 20 percent crash). More generally, world trade has also been shrinking over the last year, after stagnating since 2011. Though Shelton claims that “Africa benefits from access to reasonably priced Chinese manufactured products,” the continent’s currencies are crashing, so prices of imports have soared. China’s ability to keep its products cheap was based on its currency being artificially undervalued. This is much harder now that the yuan is considered an IMF world reserve currency. But Chinese prices are still ‘reasonable’ because Beijing rejects worker rights and health (and bans non-sweetheart trade unions), severely damages natural environments both locally and globally, continues the apartheid-style rural-urban migrant labor system, and uses marketing prowess pioneered in the U.S. to foist consumption of especially shabby products, whose planned obsolescence is even more rapid than U.S. corporations’ slovenly standards. From 2007-15, finding hard currency to cover the worsening trade and payments imbalances entailed vast amounts of lending from Chinese creditors to African countries. The sub-continent’s foreign debt suddenly doubled, by $200 billion, and the impact of macro-economic imbalances will devastate Africa’s finances for years to come. There were indeed profitable projects during the short-lived commodity boom, but also mega-deals that revealed limits to the hyped infrastructure and mining investment drive. In Southern Africa, Zimbabwe’s main diamond mines were looted by the Chinese and Zimbabwean military in cahoots, Botswana’s coal-fired power-plant failed, and Zambia’s disastrous hydro-electricity expansion suffered allegations of sub-standard Chinese equipment. Other notorious mega-project failures, according to the Wall Street Journal, include China Railways in Nigeria ($7.5 billion) and Libya ($4.2 billion), Chinese petroleum in Angola ($3.4 billion) and Nigeria ($1.4 billion), and Chinese metal investors in the DRC and Ghana ($3 billion each). “China’s successful development model,” concluded Shelton, “holds wide appeal in Africa where states are seeking to escape the poverty trap.” But a centralized dictatorship, cheap labor prohibited from organizing, a mass market still to be indebted beyond salvation, Western consumerism, and several planets worth of resources are fantasies that only weakly disguise the role Focac has set for itself. That role is simple: facilitating neo-colonialism, with Johannesburg elites like Shelton lubricating the journey by pretending there are no made-in-China African potholes.